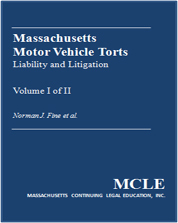 Ted authored Chapter 19, "An Introduction to Interstate Trucking Litigation in Massachusetts," in the MCLE Book, "Massachusetts Motor Vehicle Torts, LIability and Litigation." 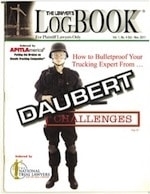 Ted authored "How to Bulletproof Your Trucking Expert From Daubert Challenges," featured in The Lawyer's Log Book. 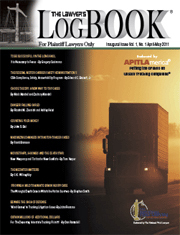 Ted authored the article, "The Federal Motor Carrier Safety Administration's Safety and Pre-Employment Screening Programs" in "The Lawyer's Log Book" inaugural issue. Ted is a Founding Board Member of The Association of Plaintiff Interstate Trucking Lawyers of America (APITLA) and in 2016 he was installed as the President of APITLA. 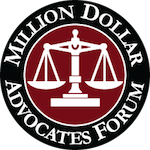 Ted has been a member of The Million Dollar Advocates Forum for more than 25 years. Boston magazine and Law & Politics chose Ted as a Massachusetts "Super Lawyer" in 2004 - 2009 and 2011 - 2016 and as a New England "Super Lawyer" in 2007 - 2009. In 2018, Ted was selected as one of the top 100 trial attorneys in Massachusetts by the National Trial Lawyers. 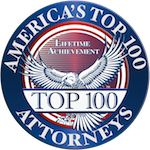 In 2018, Ted received a Lifetime Achievement Award from "America's Top 100 Attorneys." Legal Ability and Ethical Standard." 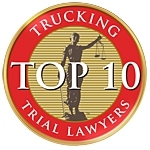 In 2018, Ted received a Top 10 Trucking Trial Lawyers award from "The National Trial Lawyers." Ted is a partner and chair of the firm's Personal Injury Litigation Group. 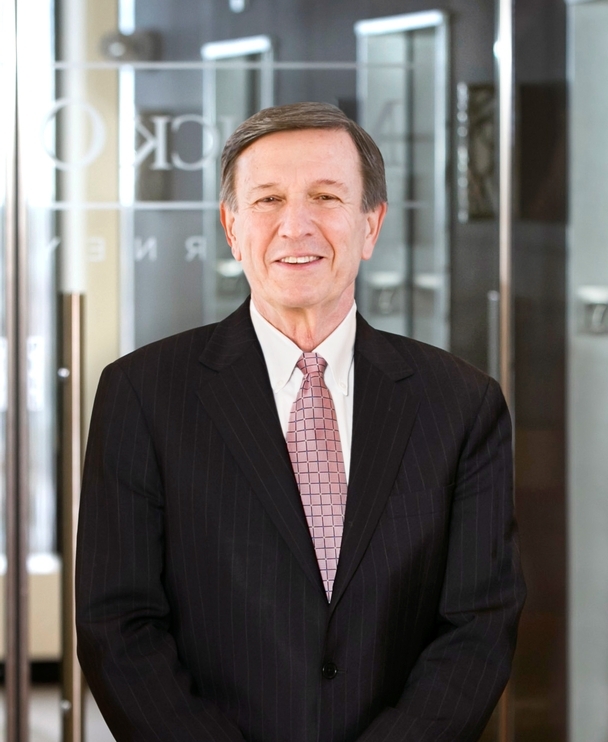 He has practiced in the area of civil litigation for more than 25 years. Ted is a member of the Million Dollar Advocates Forum, membership in which is limited to trial lawyers who have demonstrated exceptional skill in advocacy by achieving a trial verdict, award or settlement in the amount of $1 million or more. Massachusetts Lawyers Weekly named Ted as one of the "Top Ten Lawyers in Massachusetts." Boston magazine and Law & Politics chose him as a Massachusetts "Super Lawyer" in Boston magazine and Law & Politics chose him as a Massachusetts "Super Lawyer" in 2004-2009, and 2011-2018 and as a New England "Super Lawyer" in 2007-2009. Ted has received an AV® Preeminent Peer Review Rating by Martindale-Hubbell, the highest rating available for legal ability and professional ethics. In 2016, Ted was installed as the President of the Association of Plaintiff Interstate Trucking Lawyers of America (APITLA) and received the Thurgood Marshall Fighting for Justice Award at the 2016 APITLA Summit. Ted understands that being the victim in a personal injury case is a highly traumatic experience. It can become even worse if you are not represented by attorneys who have the experience to advocate for your rights and the best possible recovery you are entitled to under the law. Ted handles all types of personal injury and product liability cases, including complex trial matters involving wrongful death and permanent disability. Ted regularly receives referrals from attorneys and professionals in Massachusetts and other states because of his reputation for handling car accident cases and interstate trucking accident cases in a professional and efficient manner. If a case is accepted, the client and the referring attorney have Ted’s commitment that he will expend the necessary time and financial resources, as well as employ in-house staff and specially retained outside experts, to resolve the claim. For each case, the firm assembles the team of professionals best suited to pursue the maximum recovery for the client. Because of Mirick O’Connell’s reputation in the community and in other states, the firm has developed strong relationships with many other professionals, including actuaries, doctors, accountants, economists, bankers, vocational experts, accident reconstruction experts, and engineers. These professionals provide pre-trial opinions and testify at trial. Their expert reports and testimony have resulted in many favorable settlements. Because of the size of some settlements, Mirick O'Connell's Personal Injury attorneys work closely with our Trusts and Estates Practice Group, as well as with tax experts, actuaries and nationally-known consultants, in the preparation of structured settlements. This type of settlement can provide clients with funds to cover a minor's education expenses as well as lifetime income. Obtained a $22.65 million judgment in a drunk driving case - this is reported to be the largest award ever for a Worcester County personal injury case. Ted has been invited to speak in Las Vegas, Atlanta, St. Louis, Boston and Chicago on the preparation and trial of personal injury cases and interstate trucking cases. He has been a featured speaker on a number of occasions on trial topics and on brain injury cases of the West LegalEdcenter©. These national web seminars are broadcast throughout the United States. Ted Bassett presented Massachusetts Congressman James McGovern with the "Promoting Highway Safety Through Legislation” award for his work as a champion of safe highways at the APITLA National Interstate Trucking Summit on September 16, 2011.